Beautiful how the buildings melt organically into the mountain range. For once a great architectural megalopolis example from China, too bad the guys in Shenzhen are still putting up eye-sores. 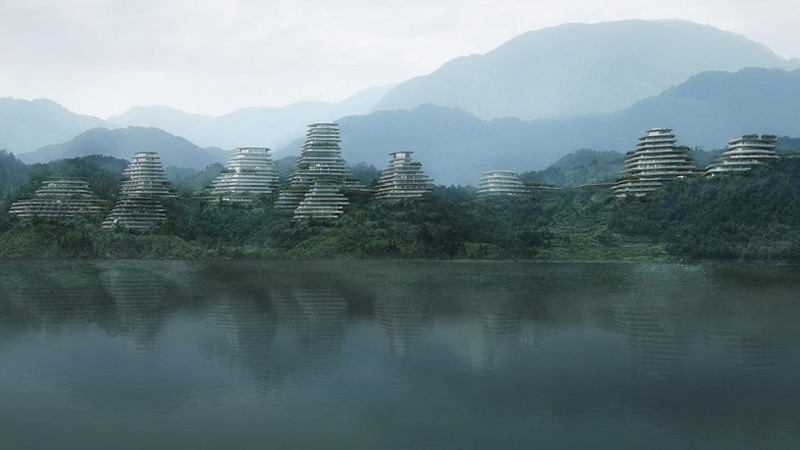 This entry was posted in Architecture, Design, Moods, Photography and tagged china architecture, chinese megapolis, chinese mountains, integrated architecture, misty mountains, organic architecture by nuitdepluie. Bookmark the permalink.